Category: Transceivers. 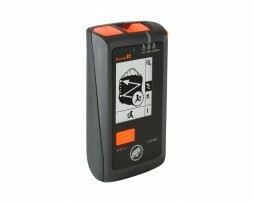 Tags: 3+, avalanche safety, ortovox, tranceiver. With the 3+ you are in charge ! The PATENTED SMART-ANTENNA TECHNOLOGY™ with intelligent position recognition automatically switches to the best transmission antenna. YOU WILL BE FOUND easier. We make no compromises in terms of searching either. The 3+ is equipped with all the features of a modern, digital 3-antenna device. 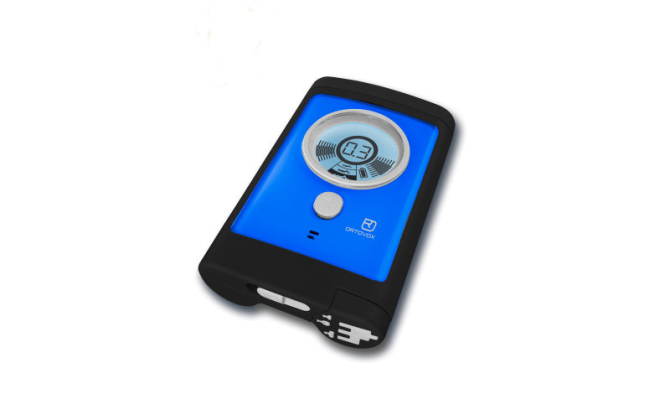 The ILLUMINATED REAL-TIME DISPLAY tells you the direction, distance and number of victims. The TENDENCY DISPLAY, combined with the INTUITIVE SEARCH ACOUSTICS, leaves no doubt when operating in fine search mode. Once located, victims can be removed from the display using the flagging function. The motion-sensor-based FOLLOW-UP AVALANCHE SWITCHOVER ensures additional safety. We have also thought about the future: the 3+ can be UPDATED and protects the environment with just a single battery.You get better found The 3+ is a three-antenna device with a special extra function to first enhance your own safety. The intelligent position recognition system analyses the position of the antennas and automatically switches to the optimal transmitting antenna. There is no longer any such thing as the ‘worst position’. We have added a MOTION SENSOR to the 3+ to enable SECONDARY AVALANCHE SWITCHOVER. If the sensor has not detected any motion for 120 seconds during the search, it automatically switches back to transmit mode. Thus rescuers can also be found if there has been a secondary avalanche. For maximum protection, weÅLve also equipped our transceivers with a Recco reflector. Recco helps professional rescuers find victims buried in the snow even faster. This offers an ADDITIONAL POSSIBILITY of being found quickly. 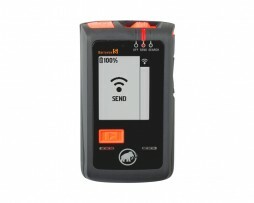 The backup technology is used by more than 700 ski areas and rescue teams around the world. The number of people buried is shown in a list on the display of the 3+. As soon as you have found the first one, you can quickly and reliably block out the signal with the FLAGGING BUTTON. The buried person is shown as being flagged, and you can continue searching for the others.